£17.42 each & FREE Delivery in UK. 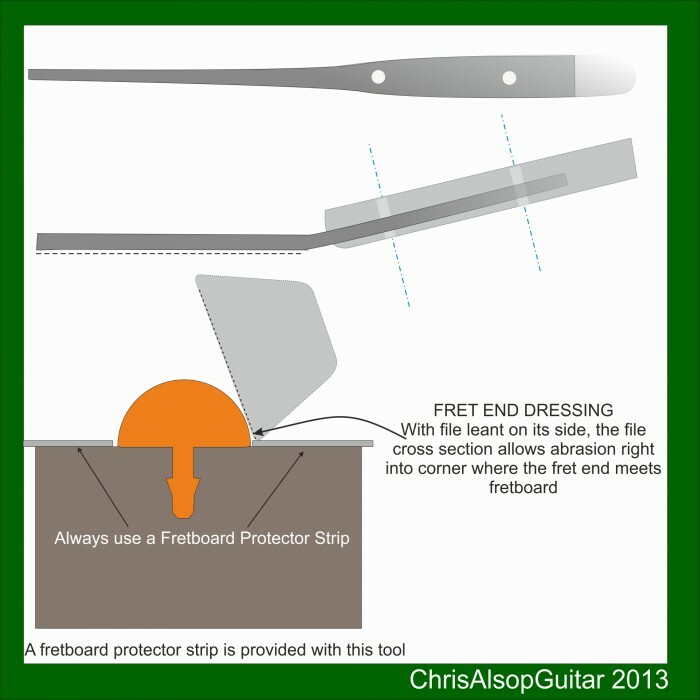 Fret Dressing File. Tapered diamond file with all edges ground. 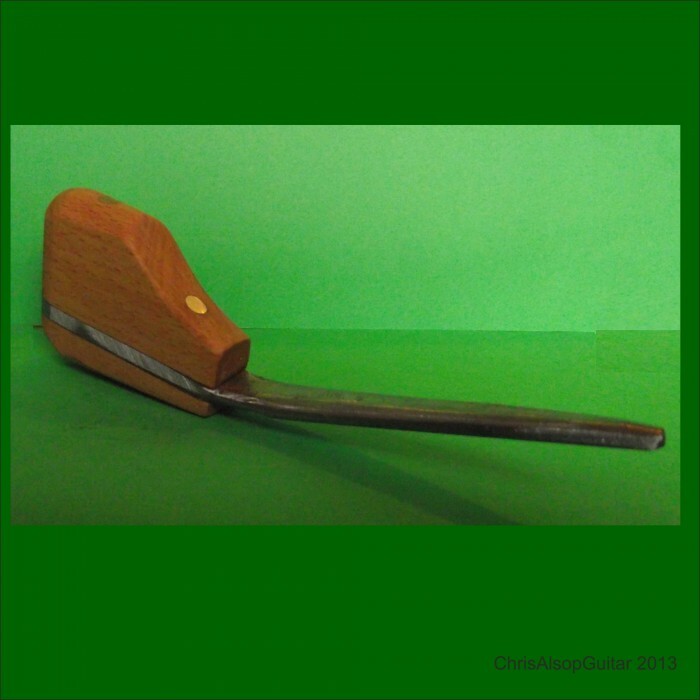 Beech handle which has Angle Raised To About 20 Degrees from Horizontal. 1. To dress the ends of the frets, which is to just slightly round off the corner between the rounded fret top and the angled bevel. 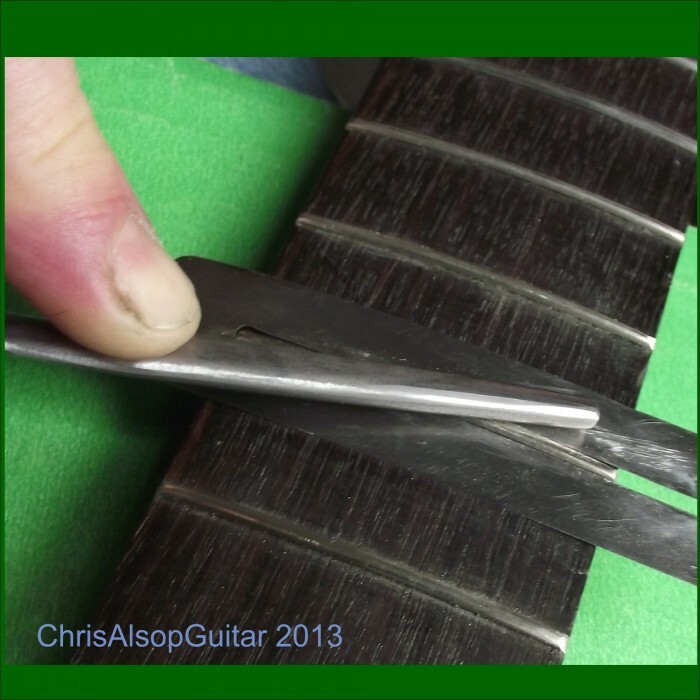 The small profile and the carefully ground edges of this file means the file can get right into the corners where the fret bevelled end meets the fretboard side. 2. 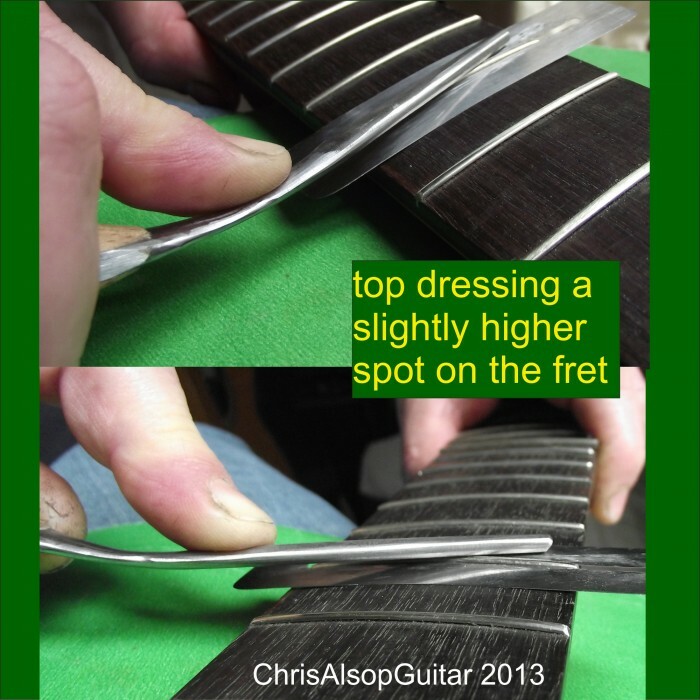 Remove some fret height when an individual fret is found to be too high. 3. 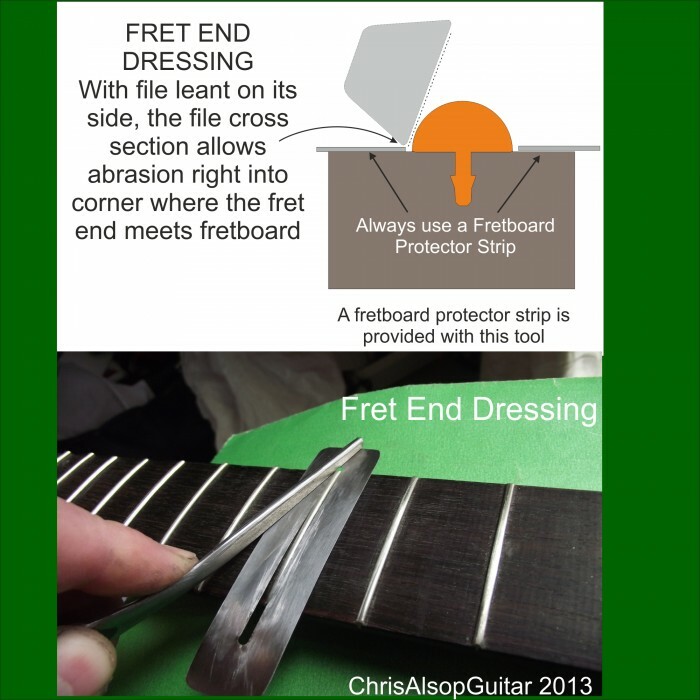 As the file can be angled along the side of a fret , it can shape the rounded crown of a fret. 1. Ground around all the edges so the abrasive diamond surface of the file only contacts the fret and nothing else. 2. 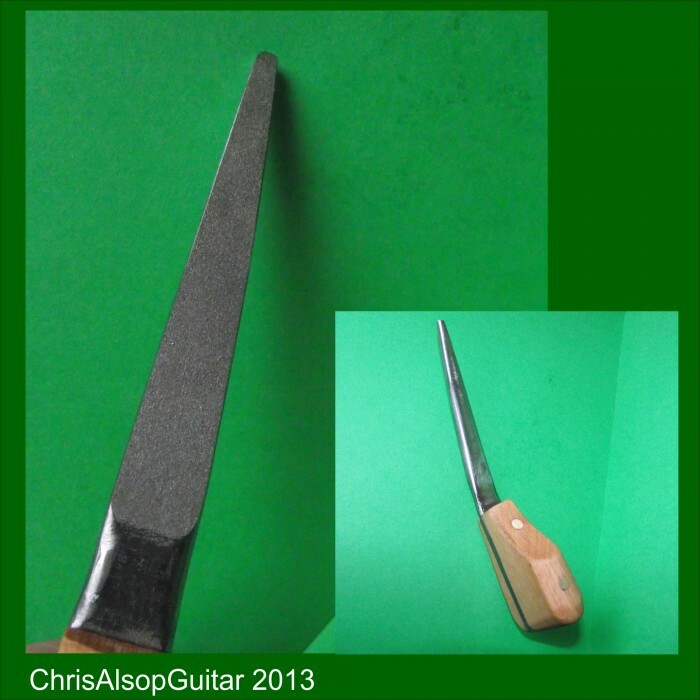 Tapered from 8mm wide near the handle to 4mm near the end to give best access and visibility of the file contacting the fret. 3. The file handle is angled up at about 20 degrees which means your hand can clear the fretboard easily and not aobstruct your work. As this is a diamond file, it cuts equally well when moving forwards OR backwards which makes it very versatile tool, with no chatter, and a scratch free surface is always produced . 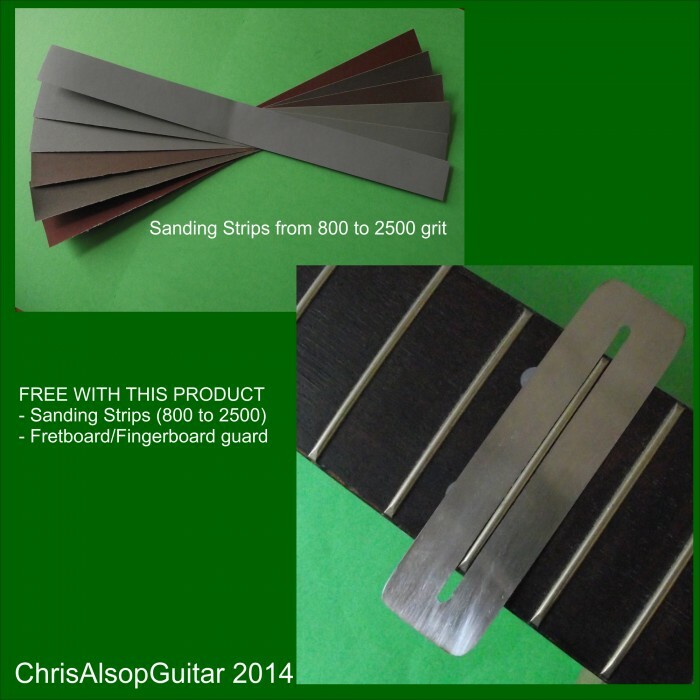 The excellent finish that results means there is minimal fret polishing, which saves time, and minimises any further abrasion. This advert is for one diamond file file for the general fret dressing. The files are high qualit..